We are currently working on updates to our travel guides to wine regions in France, Tuscany and Rioja. Up to now, we have only included one stunning photo per guide, the majority supplied by Mick Rock of Cephas Picture Library, professional specialists in wine photos. Now we have the facility to add photos to individual entries on the guides. Like the picture on the left, we are gradually adding photos to the producers recommended on our site, as well as the places to stay, eat and shop, and we thought you might like to help. Would you like to see a photo you have taken on Wine Travel Guides and receive a PDF travel guide of your choice as a thank you? Look through the travel guides on our website – all content is free to view. Find the guides to the regions you’ve visited, and on each guide click through the list of Producers and the Places to Stay, Eat and Shop to see if we include a producer or place you’ve visited and photographed on your visit. If you find one and would like us to share your photo on our website, then if it’s suitable, we will upload it, make sure you are properly credited and we will send you a free PDF wine travel guide of your choice for each photo we use. Send us any in-focus, bright pictures that represent the wine producer or venue well. Size should ideally be around 300 x 400 pixels and 200 – 500KB. Provide a caption to explain what your picture represents. It is ESSENTIAL that you own the copyright for the picture. Include your name and/or how you would like the copyright credited. Email as an attachment to admin[at]winetravelguides[dot]com. (We will not download pictures from your site or 3rd party site). In your message let us know which PDF(s) you would like to receive as a thank you. These will be emailed to you as soon as we’ve published your picture (and we’ll include a note with the link so you can see your photo on our website and share it). We reserve the right to edit your picture and your caption. We reserve the right to accept or refuse your pictures. There is no time limit on this although we will gradually be adding more pictures that we find ourselves so you may miss certain slots. As you plan your wine travels over the next few months, bear our request in mind so that you can send us any relevant photos on your return. Thank you so much in advance of your help! And, as this is the perfect time to plan your wine travels for the year we are delighted to offer all readers of this post a special 30% discount off our normal price for Annual membership that gives access to the latest version of all our 52 PDF guides ready to download and/or print. Simply go to the Join Here page or to the Gifts page if you want to offer this to someone else, and enter the promotional code D2BLG0311. Once you click enter, the usual price of £29 will reduce to £20 (approx. US$33 or €24). This offer is valid until 30th April 2011. We look forward to seeing and posting your photos on the site, and in a few months, we’ll post some of the best ones here on the blog. Postcript: UK readers may like to check out the special opportunity to bid for a Savoie evening with Wink Lorch presenting a special selection of Savoie wines. 100% of funds received will go straight to Wine Relief, the UK wine trade’s fundraiser that supports Comic Relief’s work in Africa and the UK. Hurry! Bids must be in by March 18th 2011. 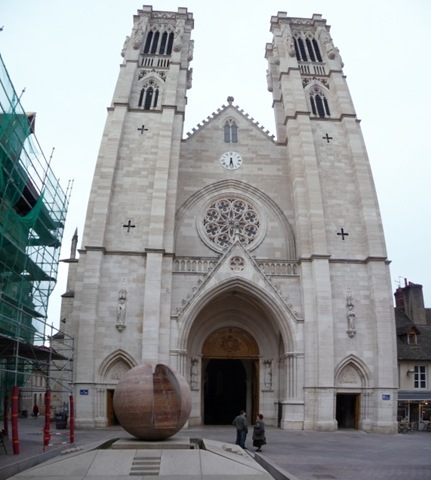 I always enjoy visiting Chalon-sur-Saône, a bustling city in Southern Burgundy, with a calm centre that straddles the river, the Cathedral Square on one side and Rue de Strasbourg, a street replete with restaurants, on the other bank. We recently visited Burgundy during the Grands Jours de Bourgogne where wine tastings are organised in different regions of the area. After the giddy heights of the major appellations it was refreshing to reach this gentler area, the Côte Chalonnaise, where the vineyards are interspersed with fields of cows, chickens and other animals in La Bresse. There is a good choice of restaurants and bars. 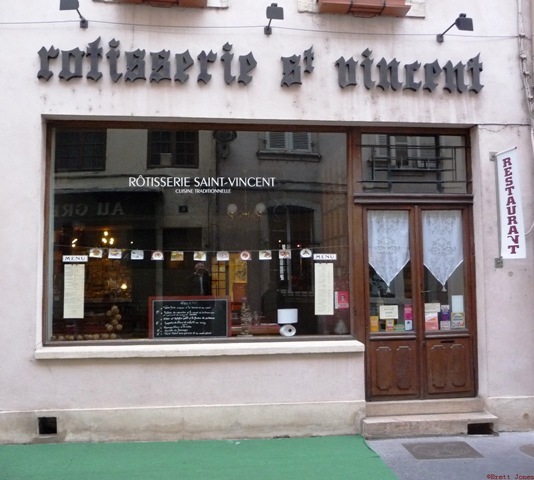 Near the cathedral is the Rotisserie St-Vincent offering a classic, local menu. 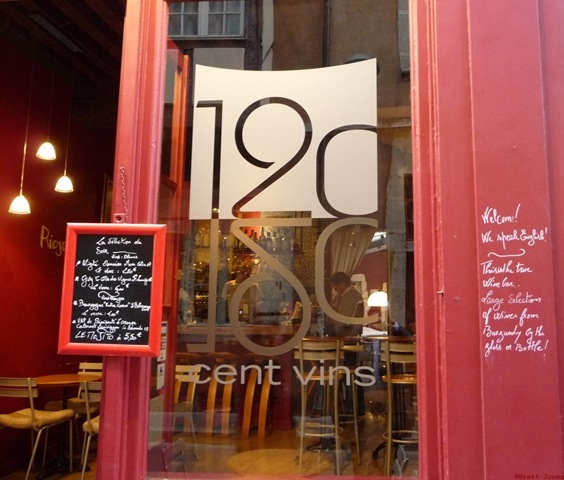 For simpler fare you can try 120 Vins wine bar (say it in French: Cent Vingt pronounced Son Vin…). You choose from a blackboard wine list, which not only specialises in the wines of the Côte Chalonnaise but other parts of France. When we were there we stayed local, choosing a Givry Clos des Vignes Rondes, Domaine François Lumpp 2008. It went well with a plate of local ham and cheese which was a pleasant respite after all our serious meals of the previous days! The Rue de Strasbourg, on the other side of the river, is lined with restaurants from quite grand to simple. 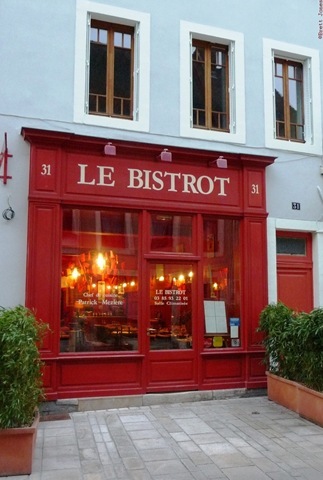 We have enjoyed lunch a couple of times at Le Bistrot were the owner cooks and his wife looks after the restaurant. 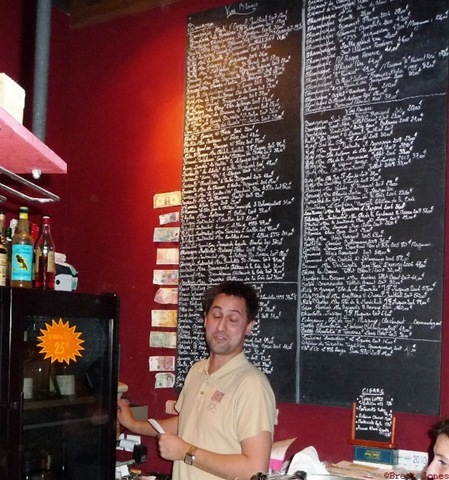 Small, very informal with short, but perfectly formed menus. In the summer you can eat outside on the car-free street. 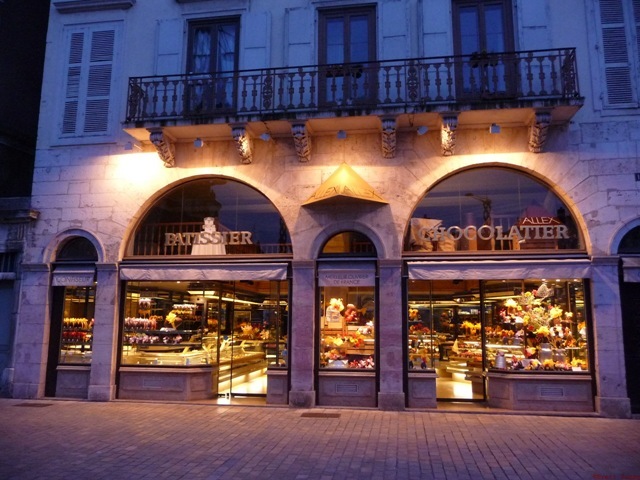 In the centre of town you can indulge yourself in chocolate heaven at Allex Pâtissier-Chocolatier, whose window displays entice you to buy even if you are full up after a good meal! The next day we travelled to the wine village of Rully where we were intrigued by the number of large, indeed very large houses in this village. Appararently in the late 19th century with the arrival of the railways, a branch line was built from Chalon, and a number of wealthy burghers built country houses in Rully, to enjoy its mild climate. 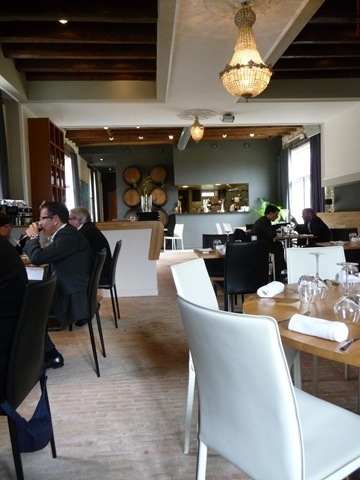 We ‘discovered’ a new restaurant in the heart of the wine town of Rully, La Grange. Here in the converted stables of the Château Saint Michel, chef Ludovic Briday, who was at the famous Lameloise restaurant in Chagny just to the north, offers a choice of menus as well as à la carte. The wine list, as one would expect in the heart of wine country, is focussed on good local wines with a few by the glass, selected to complement the food. 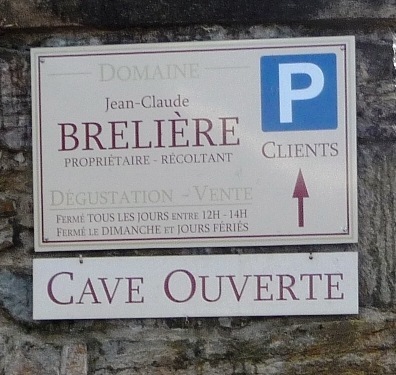 Although La Grange is bang opposite Domaine Anne and Jean-François Delorme we decided to visit Domaine Brelière as I had just met the ebullient owners, Jean-Claude and Anna, at the regional tasting a couple of days earlier. 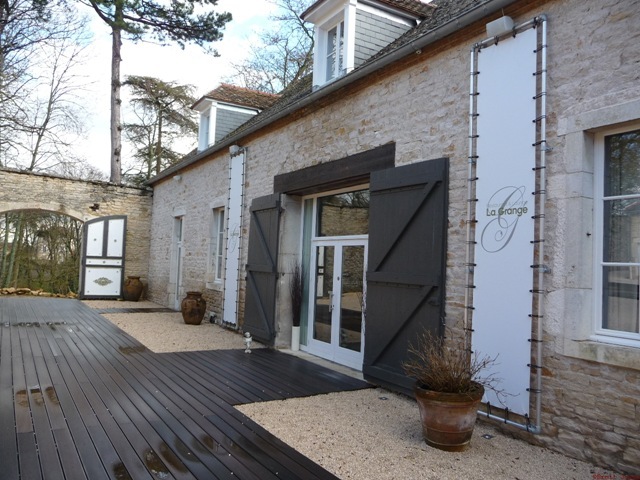 They own seven hectares of vines producing a selection of wines organically, including Crémant de Bourgogne as well as Premiers Crus, all of which can be tried in their charming small tasting room. We enjoyed this visit to the Côte Chalonnaise, appreciating the softer, calmer aspect of one of the classic wine regions of France, and Wink used our visit as the basis to update and refresh our Wine Travel Guide to this area. The month of May is a great time for wine lovers to travel through the wine regions of France or anywhere in Europe for that matter, so if you can sneak in a quick trip, I’d make arrangements now. Apart from being a relatively calm time to travel with no major school holidays, the vineyards look beautiful in their spring colours, and most weekends see one wine region or another holding a wine fair, or better still an open cellars event. I seem to spend much time warning people to make appointments before visiting wine producers in Europe, especially in France, where tasting rooms and open cellar doors are the exception rather than the rule in most regions. It can be especially difficult to find wineries open for tastings at weekends, almost impossible on Sundays. But, in recent years, there has been a move, once or twice a year, to designate a weekend where a group of wine producers in a particular region keep their cellar doors open. Much different to a wine fair, wine festival, ‘salon des vins’ or ‘fête du vin’, the open cellar doors events, called in French either Caves Ouvertes or Portes Ouvertes, mean you can actually drive around the different cellars (yes, someone needs to be a designated driver, either not drinking or rigorously spitting) visiting as many cellars as you want to taste their wines and possibly buy. Usually there are lots of other events attached such as cellar tours, meals or picnics, jazz bands or walks in the vineyards. In France, the various regions, micro-regions or even single appellations, choose to hold these open door events on different weekends, so throughout May you will find open doors somewhere. Unfortunately, they are often publicized fairly last minute, possibly even changing the weekend each year and there is no one diary source for wine events in France – several on-line and off-line publications do have some sort of ‘agenda du vin’ but not one of them is anywhere near comprehensive that I know of. I thought of including a diary of wine events on Wine Travel Guides, but with so many wine organisations and regions even taking just France, it would be a full time job for someone to put it together. Anyone want to sponsor that idea? May is a particularly important month for those wine regions who produce wines for consumption in their first few years of life, lesser every-day wines, you might call them. Many of these wines are bottled in March or April, so May is the first time they are released for sale. Another reason to hold tasting events in May is that there are several public holidays – this year the 1st, 8th (both Saturdays this year) plus the 13th and the 24th May are all holidays, so France sometimes seems like it is on a short holiday all month. Here is a non-comprehensive list of a few of the most interesting open cellar events in May, with links to more information where possible, though most of this is in French – these are real local affairs aimed at French wine consumers, but they are happy to see any wine lovers. I’ve included a couple in French-speaking Switzerland too, which both look excellent. 1st/2nd May: Savoie – ‘Fête de la Vigne & du Vin’ Savoie Vignerons Indépendents hold a caves ouverts on both days. Includes five producers in Chignin, nine in Jongieux, six between Frèterive and Cruet in La Combe de Savoie and one in Apremont. 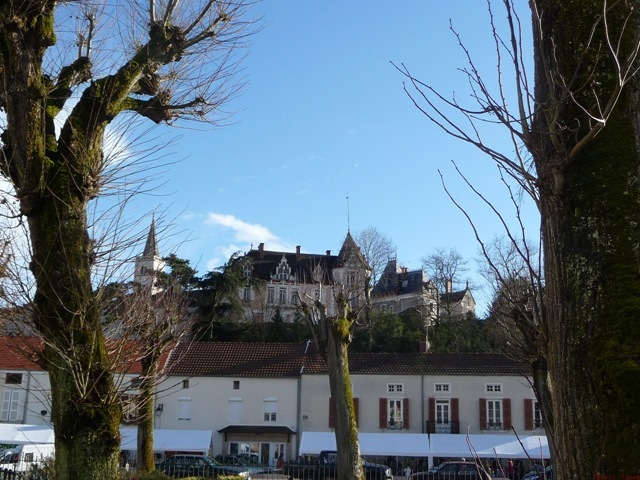 Several are featured on the Savoie wine travel guide Around Chambéry. 1st/2nd May: Savigny (Burgundy) – 15 producers on the Route des Grands Crus in the village of Savigny. 8th May: Calce (Roussillon) – ‘Les Caves se rebiffent’. 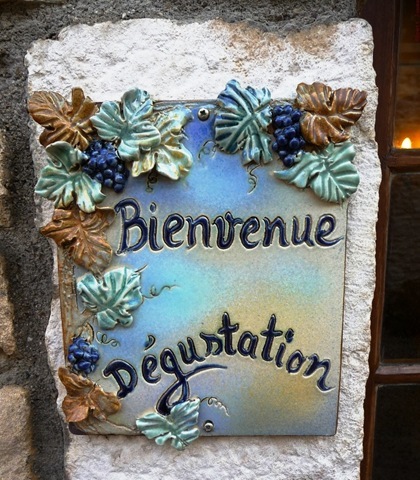 All the vignerons in this village in the Côtes du Roussillon open their doors. 8th/9th May: Côtes de Bourg (Bordeaux) – 100 châteaux with cellar doors open and lots of other events. Brochure download. 13th/16th May: Gaillac (South-West) – ‘Les Tables en Fête de Gaillac’ More than just open cellars, the local restaurants are involved and there are loads of activities surrounding wine and food. Around 30 local producers particpate, in this lesser-known wine area just west of the famous town of Albi. Brochure download. 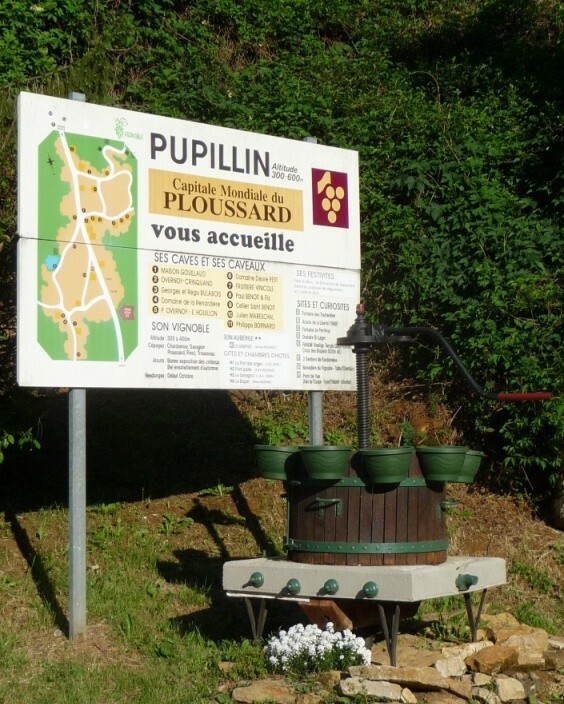 15th May: Pouilly (Loire) – Association des Portes Ouvertes groups many producers in Pouilly-sur-Loire. A few details available from the Pouilly growers’ syndicate. 21st/22nd: Vaud (Switzerland) – No less than 300 producers are opening their doors in the spectacular vineyards between Lac Léman (Lake Geneva) and Lac de Neuchatel. 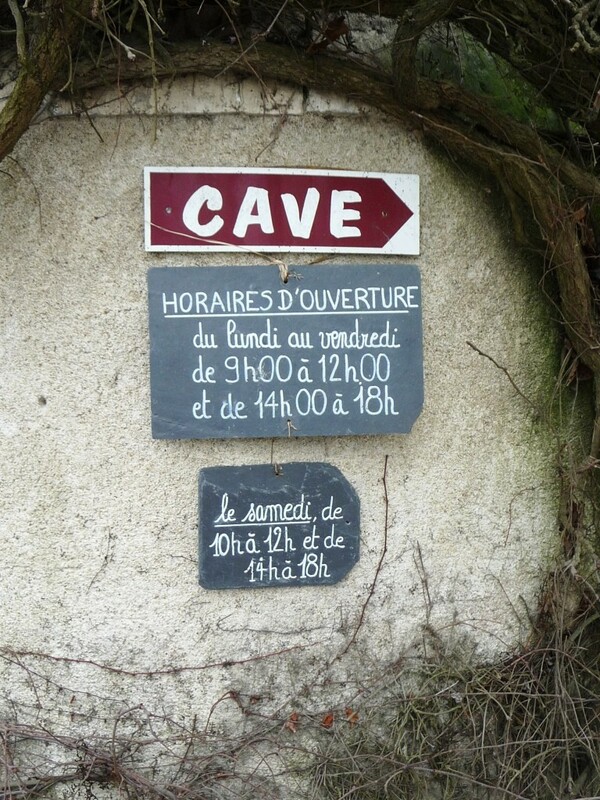 23rd/24th May: Alsace – Picnic Chez le Vigneron – not exactly Caves Ouvertes but similar. A great event where the doors are open for tasting and you bring your own picnic to eat at tables provided. Music and other activities often accompany. 29th May: Geneva (Switzerland) – The canton of Geneva produces some excellent wines and everyone speaks English! Public transport from the city and free shuttle between the wine villages. Of course, there are many more in June too and later in the year! Called Cantine Aperte in Italy all the wine regions of Italy conveniently hold their open cellars events on the same weekend, this year it’s the 30th May with some regions also holding events on the 29th May. Lots of producers participate in every region of Italy. 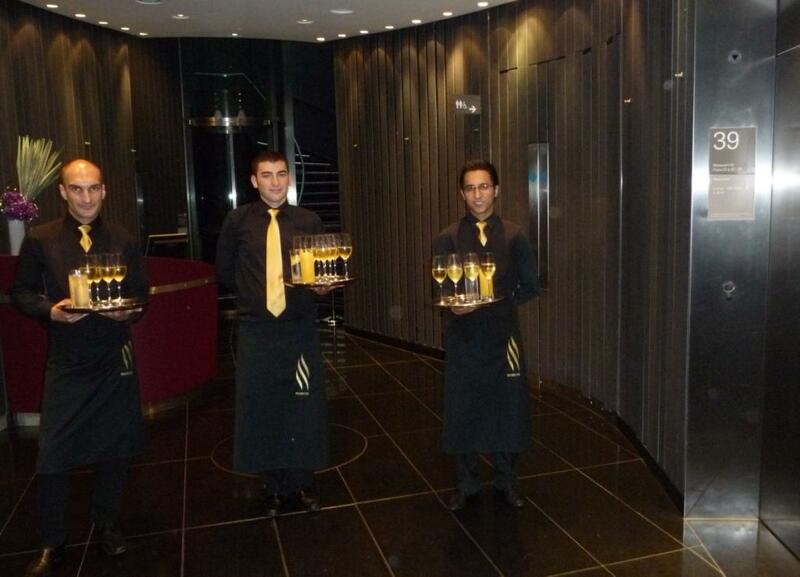 Plenty goes on with not only the open cellars, but meals and events surrounding. If you have a chance to be in a vineyard area in Italy at the end of May, don’t miss it! Sadly, I’ve found no full lists of local links, but this expat blog does a good job. There is also a Cantine Aperte Facebook page but it’s only in Italian! 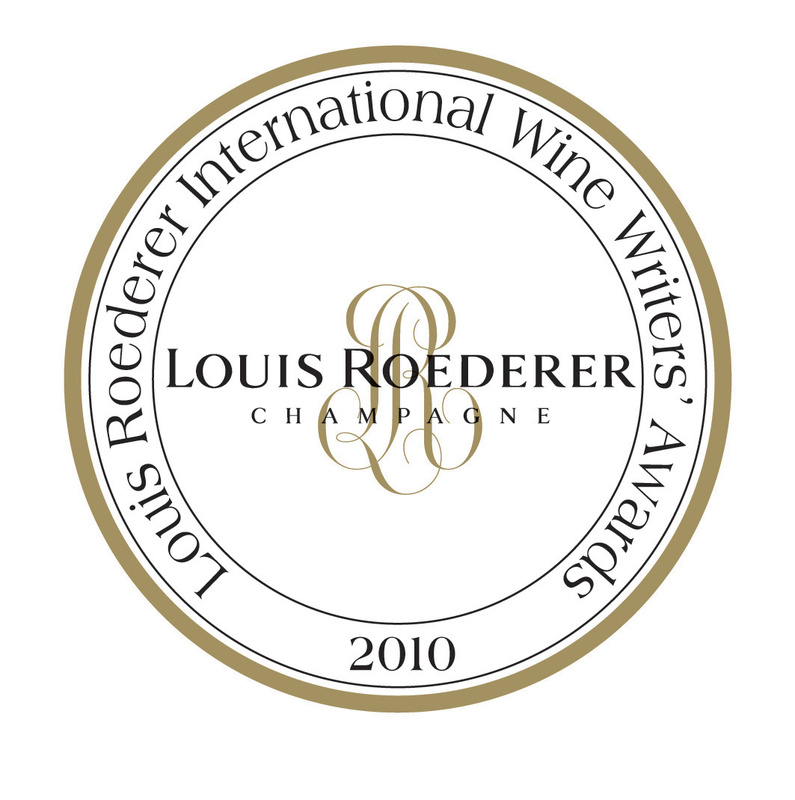 If you know of any specific links to Open Cellar Doors events in France, Italy or elsewhere in Europe during May 2010 please do add them in the comments. We include major annual wine fairs and festivals under the title ‘Events’ in each travel guide on our website, however, as the Open Cellars dates seem to be fairly fluid, they are not all included. NEW ON WINE TRAVEL GUIDES: We are now offering tailor-made wine tour itineraries for France to assist those with less time available for planning or who want an extra helping hand. Take a look at the new page on the website or read our latest press release. 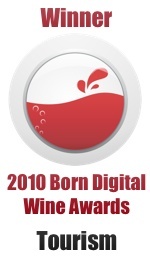 You are currently browsing the archives for the Updates on Wine Travel Guides category.